Check out Scott Greenberg's weekly radio shows broadcast on 95.9 FM Mondays at 5:00 PM. In Scott's first show back after his world cruise, he discusses his trip, the lessons learned and how this unbelievable journey will impact his work and the show moving forward. Get ready for an incredible adventure! Dr. Diego Rubinowicz, a noted urologist spearheading state of the art treatments for prostate cancer, is live in the studio with Scott. This is a wonderfully informative show that can help you or someone you know navigate prostate cancer with minimal side effects and even more importantantly, minimal hospital stays. Boomerang retirees. A group of people who moved 10, 15, 20 years ago and have decided to relocate back to their original home location. Often times, it's not that easy. Scott has a fascinating discussion with attorney Darren Mills who informs us of all the things one needs to consider if making this move. Dr. Suzanne Fuchs of LuxePodiatry joins Scott to talk about your aching feet. So much valuable information and useful hints to help you take care of those feet and ankles. Dr. Tom Minas, Director of Cartilage Repair from the Paley Institute, talks about his revolutionary treatment of cartilage damage and customized knee replacement technology. After 30 years at Harvard Medical School, Dr. Minas brings state of the art medicine to our area. A show you shouldn't miss. Hearing loss can impact our lives in so many ways. Dr. Michael MacKinnon, Audiologist, and Beth Wagmeister, Director of Deaf Services from Goodwill Industries talk about hearing loss, symptoms, treatment and an exciting free program from Goodwill. A very special show as Congressional District 18 candidate Lauren Baer, who is in a most competitive and important congressional race challenging Brian Mast, shares where she stands on critically important issues facing boomers and their aging parents. Joining Lauren in the studio is Tina Polsky, the State Representative-elect in District 81 which includes West Boca Raton, Delray Beach and Boynton Beach out to Pahokee and Belle Glade. An unbelievably important show on the true world of guardianship. Not the sensationalized newspaper versions, but the real honest view of the wonderful people who work in the guardianship space. Five experts share their roles and the roles of others. Listen in to get a greater understanding of how and why people enter guardianship and how they can avoid it. Elder Attorney Joseph Karp talks about important changes to the VA's Aide and Attendance program benefit coming soon. Those changes are critically important if you are a veteran eligible for that benefit. In addition, Joe answers all your questions about advanced directives and why they are so important. Open enrollment for Medicare and Advantage Plans is October 15th to December 7th and it may be the most important time of the year for people on Medicare. Desirae Mearns, Program Director of SHINE, the organization that counsels on choosing the right plan for you, does a terrific job explaining all you need to know. 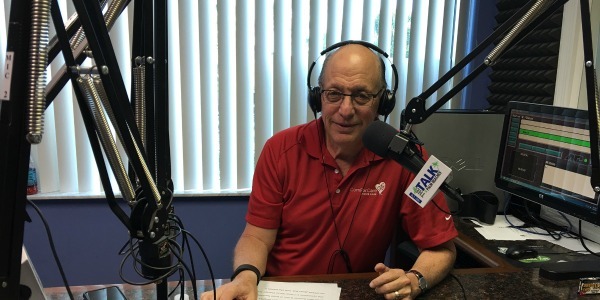 Dr. Philip Blatt, Physical Therapist at Palm Beach Gardens Medical Center, talks about falls, home safety and vertigo in a most informative show. Dr. Blatt provides great advice for all of us as to how to minimize the risk of falls through simple exercise routines anyone can do. Dr. Lewis Kaminester, a dermatologist in practice for over 36 years, shares his knowledge and expertise with us. He discusses everything from skin cancer to acne and many other common skin conditions that affect so many of us. In a freewheeling show, Scott discusses many topics on his mind including politics, John McCain, Election Day, funeral planning and home care options. A different kind of show and worth your time. Dr. Douglas Leder of Leder Eye Center and Chief of Ophthalmology at St. Mary's Hospital delivers eye opening information about everything you want to know (and some things you didn't know you needed to know) about your eyes. Cataracts, glaucoma, dry eye, age-related macular degeneration and even how to save money on your eyeglasses. This is a show you won't want to miss. Scott speaks with Dr. Jonathan Hersch, an orthopedic surgeon and sports medicine specialist, about how getting older can impact our knees, shoulders and elbows. Dr. Hersch discusses a treatment option called PRP, which may allow some to skip surgery. Dr. Rachel Cartwright-Vanzant, Chief Nursing Officer at Palm Beach Gardens Medical Center, discusses patient safety and quality of care if you've ever been admitted to the hospital. Having just received an A grade from Leapfrog, she is more than qualified to share her advice and expertise on this most important subject. Dr. Bradley Lamm, foot and ankle specialist from the world renowned Paley Institute speaks with Scott about limb lengthening, stem cell treatment, ankle replacement and so much more. A truly fascinating show from a true expert in his field. Sleep apnea is more prevalent than most of us realize and more treatable than we know. Scott speaks with Wilma Cavallaro, Sleep Coordinator from Delray Hospital in Delray Beach, who helps us understand what apnea is and how we can treat it. Dr. KC Cohen of Good Samaritan Hospital answers all your questions about robotic surgery. Its benefits and advantages as well as what conditions can best be treated with this growing technology in surgical procedures. Charlie Ring, Founder and President of an organization called "Let's Talk Soon", talks with Scott about his mission to foster end of life discussions amongst family members. A terrific conversation about a most important subject. Healthcare attorney Jacqueline Bain joins Scott in the studio to explain HIPAA. We all sign these HIPAA releases every time we go to the doctor's office, but really have no idea why and what it means. Those mysteries and others will be answered after you listen to this show. Sylvia Gaddis, Outreach Coordinator for KEPRO, a Medicare advocacy organization discusses what to do if you have questions about your quality of care under Medicare or are worried about being discharged prematurely from a hospital. If you are a Medicare beneficiary, you must listen to this show. May is Stroke Awareness Month and while hopefully you never experience the impact of a stroke, if you do, our guest is someone you should know. Dr. Ali Malek, South Florida's foremost authority on strokes, discusses warning signs, prevention and treatment as well as everything you need to know about aneurysms. A critically important and wildly information show. The Guardian ad Litem Program is critical for kids in need to have someone that can advocate on their behalf. Ken Gottlieb and Christie Gletz from the Guardian ad Litem Program describe the great work they do along with their need for more volunteers like you. If you can find time to help kids in need, this show is for you. Dr. Leonard Hock of Trustbridge Health debunks the myths and misconceptions surrounding hospice care. In a truly inspiring conversation, he addresses the realities and how you can prepare for living the rest of your life on your turns. Mark Trepanier, Executive Director of Abbey Delray, a CCRC, discusses this unique senior living option. A most informative show covering senior living alternatives that you may not have known existed. Dr. Bella Chokski, Medical Director of Rehabilitation Services at St. Mary's Medical Center, describes acute rehab and how it differs from traditional skilled nursing in a most interesting show. Identifying changes in behavior, particularly when it comes to financial behavior, can save you or your parents from disaster. Scott speaks with the founders of Eversafe, a company that monitors financial activity and offers early warning signs. They offer invaluable advice for how you can protect yourself and your loved ones. A fascinating show and so very important. "Permission to Die" is an important book written by four wonderful professionals, three of whom were in the studio with Scott. This is a subject matter we should all be familiar with and after this show you will appreciate why. Pam Gionfriddo and Pam McCorry from the Mental Health Association of Palm Beach County discuss the organization's education, advocacy and outreach programs including PEARLS, how to recognize the early warning signs, the importance of early intervention, the integration of mental health and physical health and so much more. A fascinating and informative show. A most fascinating show during which constitutional expert David Hershberg describes how our constitution came to be, traces the steps we took to become a nation and how it affects our lives today. The investment world can be quite complicated. Jeff Eagle and Carey Blecher from Intercoastal Family Office discuss what they do and how their approach to investing money differs from other investment advisor options. A most informative and entertaining show. Join Scott for a fascinating conversation with structural heart disease specialist Dr. Surabh Sanon. Dr. Sanon discusses the latest developments and the cutting edge treatments being used today that can add quality and longevity to your life. Robin Gliboff, Executive Director of The Landing of Lake Worth, discusses senior living options and what you should consider before deciding which option is best for you. Robin is incredibly knowledgeable and you will surely enjoy listening to her explain senior living. Nicole Mercado of the MS Society shares a wealth of information about exciting developments in the treatment of MS as well as some of the incredible work they do for people living with the disease and their families. Dr. Elaine Rotenberg, Clinical Director of Alpert Jewish Family and Children's Services, discusses the differences between mental health and mental illness and why depression does not have to be a normal part of aging. A fun and informative show. People often talk about how hospital food is bad, but what about when it's bad for you. Dr. David Dodson of Good Samaritan Hospital discusses the introduction of a plant-based diet option at the hospital. An incredibly informative and interesting show to which you should listen. In a story that you may think could never happen to you, Gwen Smith details her father's descent into the world of guardianship. This fascinating tale of what can happen when you're not paying attention will astound you. Listen carefully and learn this lesson this story tells. Dr. Paayal Patel from Brain Matters Research discusses both pharmacological and non-pharmacological approaches to Alzheimer's disease and dementia care. A most interesting look at different ways to approach this chronic and growing disease. Kim Clawson, the Director of the Helpline, a service of the Area Agency on Aging, talks about all the services they provide and the incredible work they do. If you don't know the Area Agency on Aging, listen in. It's one of the most valuable resources in our area. On "OMG, I'm Getting Older and So Is My Mom", a spirited discussion with the founder of Americans Against Abusive Probate Guardianship (AAAPG), Dr. Sam Sugar. One of Scott's most fascinating and fast-paced shows. Dr. Jeffrey Lefton, Director of Behavioral Health Services at Delray Medical Center's Fair Oaks Pavilion, discusses holiday blues and depression along with so many important issues confronting us as we age. An important show at anytime of the year, but especially now. In a back to the future moment, Scott begins his new tenure on his new station. This is back to where it all began six years ago. On "OMG, I'm Getting Older and So Is My Mom," Scott reintroduces the show to this new audience and talks about many different subjects to highlight what the show will be like in the months to come. Guest host Chris Ladue and Nurse Practitioner Lucy Mead from Gardens Neurology discuss the changing yet important role Nurse Practitioners have in doctors' offices today. Desirae Mearns, SHINE Program Director for Palm Beach and the Treasure Coast, discusses Medicare open enrollment, the donut hole including new 2018 figures, navigating the Medicare landscape, new changes coming our way in 2018 and how folks can take advantage of the services SHINE offers. A most important and informative show. The authors of an extremely important new book "Permission to Die" join Scott to discuss this very important subject matter. And while the topic is serious, the conversation is fun, upbeat and, more importantly, very informative. Dr. Benjamin Bensadon, psychologist, author and educator, discusses the role of psycho-social treatment in geriatric behavior along with how the changing face of healthcare is impacting outcomes. David Levy and Paul Vattiato from the Avise Group join Scott to talk about trauma, including sexual abuse, PTSD and more. They discuss their program for dealing with that trauma along with their solutions for when that trauma affects the entire family. Neurologist Dr. David Silvers of Gardens Neurology discusses movement disorders, early Alzheimer's Disease detection and diagnosis and much much more. A very interesting guest with lots of great information. Bonnie Conrad, Project Director for The Aging Disability and Resource Center discusses the epidemic that is Elder Fraud, Abuse and Exploitation. An incredibly important and informative show about what you can do if you are a victim or suspect someone you know may be. Dan Lund, President and CEO of The Freedom Boat Club, talks about boating and how it fills the needs of many who many not be interested in golf or tennis. Boating safety, owning a boat, joining a club and so much more. A very different show, but a lot of fun. An eye-opening show as Dr. Steve Spector, noted Ophthalmologist, discusses common problems with our eyes as we age. Cataracts, macular degeneration, glaucoma, dry eyes and more. Attorney Steven Dunn, a Long Term Care Insurance Expert, discusses the state of the LTC industry and specifics about policies. Getting the most from your policy can be a challenge sometimes and Steven can help you navigate these treacherous waters. JD Dinnocenzo, a reverse mortgage specialist, discusses common myths and misconceptions surrounding reverse mortgages. Learn if the product is right for you and how you might take advantage of the benefits. JD also educates us on other options, should a reverse mortgage not be the best choice. Dr. Jenni Frumer and Derek Hurwitch of Alpert Jewish Family & Children's Services talk about their organization's services available to so many people in need. From victims of domestic abuse, children needing mentoring and Holocaust survivors to those who could benefit from just a little friendly companionship. You will be surprised by all they can offer you and/or your loved ones. Lauren Young, LCSW of Palm Beach County Fire Rescue explains a first of its kind program in the nation designed to help the community in ways one would not expect Fire Rescue to be involved. The Mobile Integrated Health Team is doing incredible work and Lauren helps us understand their efforts. Scott speaks with Dan Sherman, direct from Israel about President Trump's recent trip to the region. The political landscape in the Middle East is changing daily and we get Dan's take on the average Israeli perception of the United States' role in the fast changing dynamic that is daily life in Israel. A different and most interesting show. Scott speaks with Dr. Lawrence Lottenberg, a trauma surgeon at St. Mary's Level 1 Trauma Center, about how to prevent trauma and what to do if you are confronted with an emergency situation. This is a most educational show for Trauma Awareness Month. Listen in as Scott does a free wheeling show on the state of our looming healthcare crisis and other topics. When you take politics out of healthcare and focus on the practical implications, it isn't pretty and Scott tells it like it is. May is Stroke Awareness Month. Join noted Interventional Neurologist Dr. Ali Malek as he discusses with Scott prevention, treatment and warning signs. This show could save your life of the life of a loved one. Bonnie Conrad, Project Director for The Aging Disability and Resource Center, discussed the epidemic that is Elder Fraud, Abuse and Exploitation. An incredibly important and informative show about what you can do if you are a victim or suspect someone you know may be. Board Certified Elder Attorney Joseph Karp discusses important information about the use of durable powers of attorney that may be different than your understanding, as well as why you need to revisit your beneficiary designations. Very important and interesting show. Scott speaks with Michael Sicilano, Executive Director of Harbor Chase's newest community about to open in Palm Beach Gardens, about senior living options including independent and assisted living as well as memory care and also touches on the importance of nutrition as we age. Elissa Erman, Registered Dietitian and Certified Wellness Coach, talks about how mindset and focus can lead you to your happiest and healthiest life. Dr. Akiva Marcus, Gastroenterologist and Hepatologist at JFK Medical Center discusses colon cancer awareness month, colonoscopy and hepatitis C along with proper gut health. An incredibly informative and entertaining show. Susan Sullam, whose father was an instrumental player in the events depicted in the movie "The Monuments Men", talks about her father's role and so much more. A truly fascinating story. Dr. Bradley Lamm, Director of the Foot and Ankle Deformity Center at the Paley Institute discusses the unique problems one can have with their lower extremities and the even more unique solutions available today. Alzheimer's Community Care's Education Conference is one of the most important events in South Florida each year. Scott speaks with this year's keynote speaker Dr. James Glavin along with Kelly Elbin and Karen Gilbert from ACC to discuss progress with this disease and the conference in general. Scott speaks with three wonderful guests from the YMCA of South Palm Beach County. They do so much more than most of us realize and their passion and commitment shines through as they discuss their programs, membership and volunteer opportunities. Dr. Arash Rahi, noted urogynecologist, discusses female pelvic issues that affect over 50 percent of women by the time they reach 50 years old. Great information on a very important subject about which many women are afraid to openly talk and for whom help is readily available. As people make plans for what to do with their money when that time comes, one of the most often misunderstood topics is that of giving. Elder Attorney Joseph Karp talks about the do's and don'ts you need to know and explains the pitfalls and mistakes people make and the devastating impact it can have on their best laid plans if not done properly. A fascinating show full of useful information. Marty Katz, Executive Director of Discover Village in Palm Beach Gardens and Registered Dietitian and Nutritionist, discusses nutrition and health in our senior population and how senior living communities can impact one's quality of life. Guest host Allison Negri speaks with Alyse November, LCSW and founder of Different Like Me, about the very real and serious topic of senior bullying. How to identify when it's happening, address it with both the victim and the perpetrator and the resources to help. A very eye opening and informative show. Guest host Melissa Morante speaks with two very special ladies doing incredible work for sick children and their families in Palm Beach. Cori Borrego, Co-Chair of the White Dove Cocktail Party benefiting The Auxiliary at St. Mary's Medical Center and Palm Beach Children's Hospital, and Sue Reilly, President and Volunteer at The Auxiliary, discuss this wonderful event and how folks can get involved. Barrie Brett, author of "Moments of Being ... Finding Your One Moment in Time", talks about those special moments that change our lives forever. A most fascinating look at life's very special events that influence us in ways we can only begin to predict. A truly memorable show. Samantha Blakeney of New Drug Loft and VLS Pharmacy breaks down compounding pharmacy and explains how and why this is a great option for so many patients. Compounding can be a wonderful solution for those who have needs across a plethora of medical conditions and disease states including endocrinology, dermatology, neurology, pediatrics and more. Dr. Joseph Ricotta, Medical Director for Vascular Surgery at Tenet Hospital in South Florida, discusses the remarkable progress being made in the vascular surgery area. Utilizing one of only 10 Magellan Robots in the world, Dr. Ricotta is changing lives for the better every day right here in South Florida. Rebecca Hahessy, Program Director for the South Florida Chapter of the Parkinson's Disease Association discusses Parkinson's disease from a lay perspective providing great insight into the disease and practical information you will find helpful. Guardianship is a complicated topic. Scott speaks with two recognized experts in the guardianship world. Anthony Palmieri, Chief Investigator for the Palm Beach County Clerk and Comptroller and Mitchell Kitroser, managing partner of Kitroser and Associates, a law firm specializing in elder law and estate planning, explain the guardianship process and the value guardianship can add to the quality of life for vulnerable adults. Understanding the ACA or Obamacare can be challenging. Louisa McQueeney, Navigator Project Manager of Florida CHAIN, helps you understand your options and the open enrollment period in a most informative show. Dr. Benjamin Bensadon, Geropsychologist at Florida Atlantic University, discusses the aging highway in a fascinating and unique fashion. This will certainly make you think differently about aging. Most people have not thought about donating their brain to science, but they should. Dr. Gayle Cortes Serlin from the Miami Brain Bank explains the how and why of brain donation on tonight's show. A most fascinating look at this incredible research effort. Scott speaks with Desiree Mearns, Project Director for the SHINE program, about open enrollment in Medicare and what you need to understand about your options and choices. One of the year's most important subjects for Medicare recipients. A unique show as Scott talks to Dan Sherman, a former Senior General Staff Officer in the Israel Defense Forces Strategic Planning Division, direct from Israel about life in Israel, Mid-East politics, American politics and more. Dr. Thomas Klein, noted Radiation Oncologist at Good Samaritan Hospital, discusses the use of Intra-Operative Radiation in the treatment of Brease Cancer, as well as other cancers. Minority Leader of the Florida House of Representatives Mark Pafford discusses national and state politics, hurricanes, sea level rise, Medicaid expansion, his future and so much more. Being diagnosed with younger-onset (also known as early on-set) Alzheimer's disease can be devastating but not for Dottie Carson. After being diagnosed at age 54, Dottie has become a tireless advocate for those suffering with the disease. This is a show you shouldn't miss. What happens when plans change and the guest is rescheduled? Scott talks about Home Health, Elder Fraud and Long Term Care Insurance plus a few other things on his mind. Michael Counes, Director of Addiction Services at The Palms Detox at Good Samaritan Hospital, discusses the explosion of alcohol and drug addiction amongst boomers and their parents. A fascinating look into a rarely discussed subject. Dr. Neerav Shah discusses bioabsorbable stents. As Palm Beach Gardens Medical Center is the only hospital in Florida between Miami and Jacksonville currently performing this procedure, Dr. Shah is leading the way in this new stenting technology. Julie Tombari, Administrator of New Day Adult Day Center, explains why daycare may be the perfect solution for your loved one and why their Integrative Memory Enchancement program might also be for you. Dr. Waqas Ghumman and Kristie Reed describe a new cardiac program at JFK Medical Center designed to bring a medical home model to cardiac care. A most interesting show and even more interesting guests. Aging in place is challenging at times without modifications to the homes we love. Our guest, Lou Besa of Atlantic Accessibility, describes some of the simple modifications you can make to allow you to stay in your home longer and more safely. Hearing loss is a major issue for so many and Scott's guests tonight are passionate about helping people with hearing loss live a better life. Beth Wagmeister of Goodwill Industries and Ashleigh Walters of WPTV talk about signing, deaf services and so much more. This show is available on Facebook on Ashleigh Walters' Facebook page. Sara Jo Flores, Director of Social Services for Okeechobee Health Care Facility, discusses the myths and misconceptions of skilled nursing facilities. Kim Lewis of Harbor Retirement Associates discusses independent, assisted and memory care retirement communities and what you should be considering when thinking whether one may be right for you or your mom or dad. Ken Gotlib of the Guardian Ad Litem program talks about what they do and how you might get involved if you want to impact the lives of children in need. Dr. John Rimmer, noted breast cancer surgeon and specialist, discusses the latest developments in the war on breast cancer. Karen Greene, Nurse Case Manager and Professional Guardian, discusses care management and why and when it's an appropriate decision for many. Philip Marshall, grandson of Brooke Astor, talks about the fight for his grandmother's rights and his petition for guardianship in a very public fight with his own father after seeing what he thought were financial improprieties in the handling of her substantial assets. Dr. Nils Mueller, Regional Neuroscience Director of Tenet South Florida, talks about the latest developments in the treatment of strokes as May is stroke months. Chad Adcock fills in as guest host speaking with Rebecca Barnes and Allison Clark of Action Home Care about the differences between Medicare home health, private duty home health and Medicaid. The stories of our lives as told by Maurice Murad, an executive producer for CBS News for over 40 years. Having worked with all of the giants of our memories, Maurice tells us what it was like to work with the best at the most exciting times in our history. Dr. Arif Dalvi of Palm Beach Neuroscience discusses Deep Brain Stimulation and its use in the treatment of Parkinson's Disease. Penile implants can restore quality of life to many men who thought their sexual lives were over. Dr. David Schwartzwald explains the procedure and its effect on men of all ages in a fascinating look at men's health. John Couris, President and Chief Executive Officer of Jupiter Medical Center, discusses the changing face of the health care delivery system in a wide ranging conversation important for all to hear. Donna Addy of Artis Senior Living talks about family caregiving. Its challenges abound, but she provides great tips and tools plus she discusses the exciting new community about to open specializing in memory care. David Levy, author of The Family Caregiver's Manual, talks about his new book and why caregivers of all ages caring for family member of all ages need to read this important manual. Mya Breman, a specialist in Cranio Sacral Therapy, describes this treatment methodology that has changed many lives over the last 30 years. Great show as Representative Mark Pafford was on for the last time as minority leader in the general session of the House of Representatives and Dr. Kenneth Kosik, the keynote speaker at the Alzheimer's Community Care's Educational Conference, joined 3 representatives of ACC to discuss the conference and all it has to offer. State Representative Mark Pafford along with State Representative Lori Berman call in from Tallahassee to bring us up to speed on the latest developments in the legislature and Dr. David Weisman, Cardiac Electrophysiologist discusses Afib and the new convergent procedure that is changing outcomes. Minority Leader of the Florida House of Representatives Mark Pafford calls in from the State Capitol and Alan Egenthal of Mandel JCC and Director of the Academy of Continuing Education make for a lively show. State Representative Mark Pafford live from the state Capitol and New York attorney, Tanya Hobson-Williams, are our guests tonight in a fast paced show about many important topics of concern to residents of New York and Florida. Nurse Practitioner Conni Murphy, who heads up the Cancer Genetics Center at Good Samaritan Medical Center, discusses all things genetic counseling and testing you need to know. Kaila Williams of the ALS Association helps explain the disease, progress, the ice bucket challenge and their upcoming walk to raise money and awareness. Also Minority Leader Mark Pafford of the Florida House of Representatives joins Scott for a lively discussion. State Representative Mark Pafford calls directly from Tallahassee for an update and Dr. Eric Lullove, noted Podiatrist, introduces a new treatment for Achilles Tendinitis and Plantar Fasciitis called Tenex Health TX. Great show tonight talking about the changing face of the medical delivery system and what the near future holds with Paul Walczak and Dean Tendrich of NuVista and also State Representative Mark Pafford who is the minority leader of the Florida House of Representatives called in to talk about the upcoming session. Elder Meditation is a new and important development in the eldercare world. Tina Polsky and Susanne Hale discuss its use and benefits as experts in eldercare meditation. Kathleen Herd and Deanna Henning from Alzheimer's Community Care discuss adult day care, ACC specifically and some great upcoming events that can help people learn more about this disease. So much knowledge to share ... tune in. A first for OMG when Scott talks about his heroes and the not so heroic people who interface with boomers and their parents. Good fun yet serious information. What would happen if you didn't make it home tonight? Who would make decisions for you? Michelle Hollister, Elder Attorney, discusses proper planning, Medicaid, guardianship and more in a most important show. Dr. Robert Carida, Interventional Cardiologist from Delray Medical Center, discusses Chronic Total Occulsion or CTO and the latest treatment available. Understanding estate planning, wills and trusts plus probate is critical to our long term plans. Tonight's guest, Pam Polani, an attorney focused on this practice area explains what you need to know and what you should fear. Great information for anyone over 18! Dr. Brij Maini, Regional Medical Director of Transcatheter Therapies for Tenet, FL, discusses the latest in technological advances in minimally invasive heart surgery. A fascinating look into the future of structural heart surgery. Protecting yourself has never been more important than now given the recent events in Paris. Tonight, Suzanne Falcone, an instructor at the Home Safety Academy, helps give us the tools to enable us to refuse to be a victim. There can be no greater responsibility than to bring our fallen heros home. Tonight Lou Sapienza, Founder of the Fallen American Veterans Foundation, talks about their efforts to bring home our MIAs. A great story of commitment and passion. Michael Schimmel, CEO of shiva.com and econdolence.com, discusses grief, mourning and how they can help you navigate the best ways to show someone you care. Guest host, Chad Adcock, speaks with Samantha Howell, Project Manager for SHINE, about Medicare open enrollment. How do you decide which plan to select? Medicare versus Managed Care, and so much more. Scott talks with Mary Barnes and Karen Gilbert from Alzheimer's Community Care and Patrick Halperin from the Palm Beach Sheriff's Office about the new Lost on Foot program which is an extension of the Silver Alert program. Scott talks to Dottie Carson, recently diagnosed with Younger Onset Alzheimer's disease, as she tells her story about finding out she had Alzheimer's at 55 and its impact on her life. Brave and courageous, Dottie is a passionate advocate for clinical trials and not giving into this tragic disease. Dr. Sam Falzone, OB/GYN, talks about Uterine Fibroids and a new procedure called Acessa, a fascinating new approach to a formerly very serious procedure. Substance abuse and addiction is epidemic among seniors and aging adults. Dr. John Dyben from the Hanley Center identifies the magnitude of the problem and possible solutions. In one of Scott's most powerful shows, he speaks with Mark Harris, a first responder on 9/11, who was there when both towers fell. You don't want to miss this one. The Walks to END Alzheimer's are some of the biggest fundraisers for Alzheimer's research. Learn about the walks in our area, how to participate, why to walk and so much more. Tali Kentof talks with guest host Chad Adcock about how technology can improve the lives of our seniors with her series of workshops called Grandma Googles. Dr. Manish Gupta joins Scott tonight to talk about knee surgery and other treatments for knee problems. Dr. Scott McFarland, Medical Director of The Emergency Department at Palm Beach Gardens Hospital, discusses your emergency room experience and more. The Red Notebook Project is an important piece of one's life planning and Dr. Doug Jewett explains what it is and why you should be doing this. Palm Beach County Clerk and Comptroller Sharon Bock and Anthony Palmieri, Chief Deputy Investigator in the Office of Inspector General, discuss guardianship and more about the Clerk's role as PBC's fiduciary. Amanda Pollok of AM Healthcare Consultants explains how difficult it can be after a cancer diagnosis to navigate the system and how she can help you. Dr. Daniel Fortier, Geriatrician, Internal Medicine specialist and hospice and palliative care physician, covers a wide range of subjects interesting to all. Holistic medicine and traditional medicine are often in conflict, but tonight's guest, Bruce Berman, M.D., explains how they can truly work together. Judith Levy, author of "Grandmother Remembers", tells us how the book came to be and why 3 million people have bought it and loved it. State Representative Mark Pafford, Minority Leader of the Florida House, joins Scott for a very lively and fun recap of this year's legislative efforts. Beth Wagmeister of the Deaf and Hearing Resource Center of Palm Beach County discusses hearing loss, deafness and sign interpreting along with technology advances. Dr. Deborah Bier and Steve Toll discuss ComForCare's DementiaWise workshop, the power of music and the difference between delirium and dementia. Tequesta Alston of the Alzheimer's Association describes their multitude of programs to help sufferers and families and State Representative Mark Pafford brings us up to speed on the latest developments straight from Tallahassee. Jennifer Weems and Enjoli Skeen of Alpert Jewish Family & Children's Service explain the many programs the agency offers to both those in need and those who are not sure. Healthy aging and exciting research from Scripps Florida on tonight's show. There are some dynamic advances going on and groundbreaking research with the potential to change the aging highway going on today and my guests tell the story. Pre need funeral planning is one of the hardest yet most important issues we confront. Phil Wishna, Director of Pre Need Planning for Beth Israel Memorial Chapels, explains all of our options and the importance of planning ahead. Dr. Erica Podolsky of Delray Medical Center talks about obesity and Bariatric surgery options on this most interesting show. Dr. Jeffrey Kotzen, OB/GYN and Chief Medical Office at Good Samaritan Hospital, discusses women's health and State Representative Mark Pafford calls in from Tallahassee to bring us up to speed on the most dangerous week in Florida ... the last week of the legislative session. Colonoscopies, endoscopies, Prilosec and Nexium and so much more with Dr. Elliot Ellis, Chief of Gastroenteroloty at Good Samaritan Hospital. Also State Representative Mark Pafford straight from Tallahassee brings us up to speed on the latest from the Capitol. Kelly Kerr and Ken Gotlib of the Guardian Ad Litem program discusses the need and value of this incredible volunteer driven program that advocates for children in need. Also Representative Mark Pafford, minority leader of the Florida House of Representatives, calls in to bring us up to speed on the latest from Tallahassee. Pet adoption and exciting programs from Peggy Adams Animal Rescue League. One of the largest no kill shelters talks about what they do and how it benefits seniors. Also State Representative Mark Pafford talks about Medicaid expansion and Tallahassee politics. Daily money management, bill paying, balancing the checkbook and other tasks can be difficult for some seniors. Tonight's guest, Ellen Rosenthal, is a daily money manager and she guides us through the process. Also State Representative Mark Pafford talks about th budget and guardianship as well. State Representative Mark Pafford, at his best, talks about the current state of the legislative session and attorney Peter Spett talks about recovering your assets when unscrupulous investment advisors have taken advantage of you. A truly fun and informative show. Dr. Naushira Pandya, Department Chair of Geriatrics at Nova Southeastern University Medical School, discusses geriatric medicine and much, much more. Dr. David Weisman, Medical Director of the new Electrophysiology lab at Good Samaritan Hospital, discusses the latest in cardiac ablation and new procedures to deal with A-fib. Alzheimer's disease is epidemic and there is a tremendous amount of misinformation on the street. Alzheimer's Community Care's Educational Conference is designed precisely to deal with the facts and answer your questions. Tonight's show explains all you need to know about the conference and the resources available to you. Music can be very therapeutic as we learn from tonight's guest, Bree Beynon, a music therapist at Palm Beach Music Therapy Institute. Fun and entertaining, but informative as well. We discuss the power of music in treating people of all ages with their disabilities. There are so many choices and so many questions to ask when it comes to senior living alternatives versus living at home. Kim Ali from Brookdale Senior Living helps answer those questions and more on tonight's show. Fraud, abuse and exploitation are epidemic in the senior population. Listen to Bonnie Conrad, Project Director of the Elder Rights Center of Excellence, talk about what you can do to preent abuse and what to do if you suspect it. Reintroducing "OMG, I'm Getting Older and So Is My Mom" to a new audience on 900 AM The Talk and to the old audience who followed us over from 95.9 FM. You can also stream past shows for free on iTunes, or see ALL EPISODES at Podomatic.